When I had my first baby, my life revolved around her sleep schedule. When I had my second baby, I was willing to be more on the go, but if it was during his naptime, I wanted to know he had a place to sleep. A stroller was fine sometimes, but when I was visiting family and friends, I would have looked like a fool rolling a stroller through their doorway. So at the time, I had no choice than to bring along a gigantic portable crib. Oh, how I wish the QuickSmart 3-in-1 Travel Bassinet was around back then. 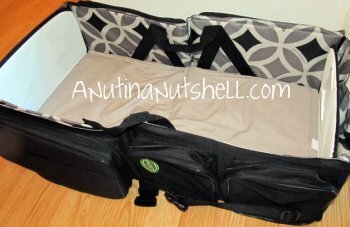 It’s a diaper bag, changing station, and bassinet all in one. 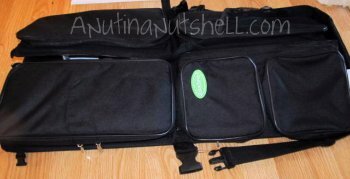 It starts as a compact diaper bag with 5 roomy exterior zip pockets and an easy access mesh pocket. There’s also a padded shoulder strap for carrying. A change mat is conveniently stored in one of the pockets. Releasing a few buckles starts the conversion to a bassinet position. The only thing left is to flip the canvas flaps over into the inside of the bassinet. Then it’s ready for baby. 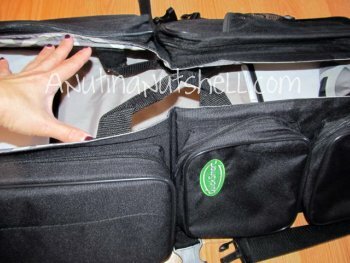 I was going to make a little video and show you how easily this converts from diaper bag to bassinet, but I found an 11-second video on their website which shows it perfectly! I would recommend using this on a carpeted or padded area to provide a nice soft sleeping spot for baby. Isn’t this a convenient helper for parents? I really like that it serves a triple function! Buy It! Perfectly suited for newborns to 19.8 lbs or until child can sit well. 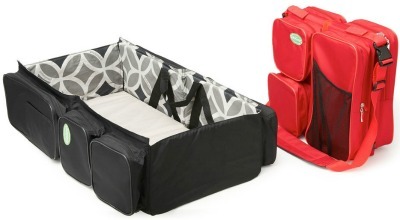 Purchase the QuickSmart 3-in-1 Travel Bassinet for $69.99 at Amazon ! I received a product sample in order to facilitate the review. All opinions expressed are my own. This would be great to take to Grandma’s house! I would never use it, I’d give it to a good friend who is due soon! Would use it when visiting friends and relatives. Take it on trips too. At the babysitter — I have a newborn and am about to go back to work. I can stuff the diaper bag with the things she needs and have a dedicated place for her to sleep at the same time! I think I would be using it while visiting family. I would use it most while visiting friends and family. Great for providing a quick spot to take care of my baby! I’d use it at my parents house the most. I’d be using his most often at my best friend’s place. Rafflecopter entry form isn’t working this evening. Bummer!!! I think we would use this the most when we are visiting family! It would definitely come in handy in many other places too, I love that it can be a changing table, some people without kids are weird about you changing a diaper in there house, this would solve that problem! This is SO cool! We are always on the go and this would be great to have when we are out and about! we are always going to his moms for the day, i would use it then. To grandma and grandpa’s house. 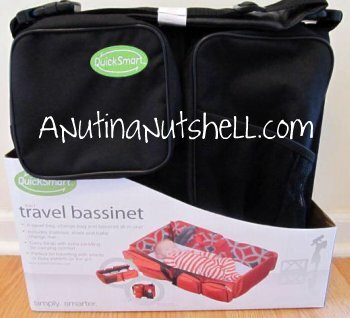 I’m expecting my first baby in May and I know we would definitely use this travel bassinet! We are having the first grandbaby on both sides so we will be doing a lot of visiting at gma and gpas houses! We’d use this when traveling to see family. We are expecting a new grandbaby to arrive in January. Will definitely use it when baby comes to visit. I think I will be using it when we go the grand-parents. I’ll be using it at friend’s/family’s houses. for visiting the various grandparents! I would be giving this away as a gift, so I wouldn’t be using it!! We just learned we are to be grandparents for the first time. Our daughter Katie called last night with the good news. he and her husband have been waiting for 6 long years. What a blessing!! The Travel Bassinet would be used when she comes to visit us. She only lives 2 hours away. Thanks. All of our families live in various states. So this would be perfect to take with us when we travel to visit family and friends. I would not be using it really, my two daughters would. Both have had babies just 6 and 4 weeks ago. With holiday visiting I know they would love to take to grandmothers houses, along to doc visits *one little guy is still in NICU at 11 weeks early and will be having lots of testing.). Depending on how BIG the kids get, I can see them using this for camping or a day trips out. How cool is THAT idea! The inlaws, definitely. They live across state and we have three kids and a dog that travel with us in our Malibu….theres no room to tote any kind of bedding for her in there lol. I would be using this at the dance studio where I spend 6 hours a day. I’d love to gift this to my best friend who is pregnant. She lives in SC but her parents and her in laws live in OH. This would be perfect for all their traveling back and forth! On the travel between grandma’s (my house) and home (my daughter’s house). Over the river and through the woods to Grandma’s house we’ll go and go a lot. This will come in quite handy. When we’re visiting family and there is no spare crib for naps! This would be great for an upcoming Vegas trip we have for a wedding! Id use it to visit my parents. I would use it visiting friends and family. i’d use it as a gift for my cousin’s baby shower and she’d use it when she visits her parents! 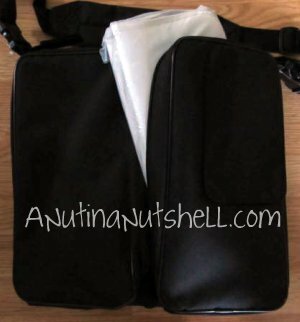 This would be great for traveling anywhere and looks so portable and easy to set up. Awesome design! When we visit my parents it is a pain taking ours down and putting it back up. This would be great to use when going to grandma’s house or staying overnight…period…with someone! We’d use it all over the place- trips to Grandma’s or Grandpa’s, camping, vacation, around the house. This looks like a great product! This would have come in SO handy even t oday! Traveling to others houses to visit and not wanting to have baby in car seat or being held the whole time. What a great concept! Besides having a baby at home now a month old, we have a tiny little grandson coming home from the NICU soon. I know my daughter would love this to have to get out to visit when she can, as he is not going to be able to go out in public for a good 6-12 months. So nice to have when visiting others who do not have baby gear! I would actually give it as a gift for the holidays. I know they’d love me for about a year for it! This would be a gift and they’d use it when they go to Grandma’s. I think it would see the most use for work and appointments. We’d use this on weekend getaways. i would use it on vacations and camping! I will actually give it to my daughter. She babysits for a newborn and I’m sure it will come in handy. probably use it going back and forth to my parent’s house or my in laws house! my daughter is pregnant with baby #2, a girl, yay! so i would give to her, but since i am gonna be baby sittting for her i know it will get the most use going back and forth to grandma’s house! At grandma’s house, otherwise I have to use a mound of pillows and it makes me nervous. It will be used when going to visit the grandparents and friends. How cool is that?!?! Hmm…I’m pregnant with #3, so I’m thinking I’ll use it a lot at the park, my mom’s house, and anywhere else I need to go with my other two! We’re moving 1000 miles away from family and friends! This would be perfect for when our second child arrives and we make trips back to visit family. Either staying with them or at a hotel. That is so cool! I’d definitely keep it in my car and use it when we’re visiting our family members! I would be using this whenver I’m visiting relatives. I would use it when I visit friends. This would be a life saver!! It would be used on day trips with picnics and traveling to see family (20 hours away!). For overnights at Grandma and Grandpas! 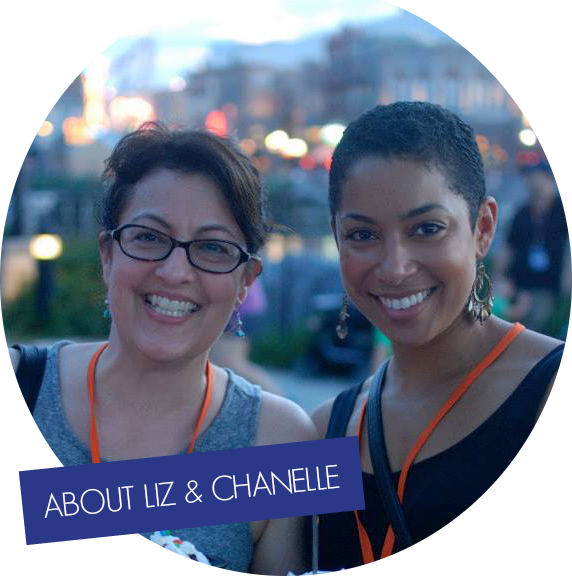 It would be great for traveling and visiting relatives! We’ll be using it when we’re visiting relatives. It would be used for visiting family members mostly. This would be wonderful for me to donate where I volunteer at for families in need! For traveling and at my Dads house when we spend the night. I’d use it most often visiting family around the holidays. Thanks for the chance! I think I will use it most when visiting friends. If I won we would use this the most when we visit the grandparents. They live close by so it would be super helpful. we visit the grandparents almost every weekend so we would use it there! We are traveling to Disney in a few months so this would get a lot of use then by my baby son. This would be perfect for us!! We travel with my husband when he teaches at colleges around the state and I would love to use this in the hotel! I never have a good place to lay the baby down for a nap unless I put her in the stroller. Plus this would make a nice little changing area when traveling! Going back and forth to my mother-in-laws house. What a great product! This would be especially useful around the holidays when we will be at different places throughout the days and it would be so nice to have to keep Landry’s sleeping on schedule! It would also come in handy on car trips – such a better alternative to those nasty gas station bathrooms for diaper changes. probably to the park, friend’s houses, anywhere really. We have Weekend dinners at the Grandparents house and my other kids hated the pack n plays… so, this might be the perfect thing to take along for family gatherings. I think having this in the car would be the ultimate ready for anything gear. This would have been very handy, indeed! I’d love to win one for my cousin and his wife who are expecting #2 any day now! Probably use it in our king sized bed, to be honest. I don’t see us traveling next year, seeing as I am pregnant and due in July! i have 4 month old twin boys!! I visit my parents at least twice a week, and one would think i am leaving country for a week w/ all the stuff i have to pack in my van!! lol So, I would definately love to have this so I could take it w/ me to my parents and cut down on all of the other stuff I have to bring when I visit!! What a great giveaway!!! HOPE I WIN THIS!!!! I would definitely use it at my mom’s house. I eat dinner there once a week, and I know with my first daughter we were always wondering where to put her to sleep safely. I was not about to tote a huge pack and play over there, so we just made it work. This would be perfect. When visiting with friends or relatives. i’d use it on our frequent car trips to visit friends etc. Seems very useful for quick packing! We travel to my parents house about once a month about 4 hours away, so this would really come in handy for those trips! For trips to Grandma and Grandpa’s house! I would like to use it to take my grandson outside to play with his sister. this would be great for my son and his daughter who travel a LOT and will be having a little one very soon! If I won, I would give it to a friend of mine so I’m not sure where she would use it. Traveling to the grandparents, definitely! We go on trips all the time. and we are going to disney world in may so i will probably be using it then for the 7 days. but we go to grandparents house at least once a month so this would come in handy :). very unique. I have 3 toddlers and am expecting my fourth soon. I would be using it all the time when the toddlers have class! I would be giving this as a gift to my very pregnant friend. I imagine she’ll use it for when she visits out of town family and friends. I would use this when we take the toddler to the park to put his sibling in! That’s really cool! When my first one was born, 40 years ago, I got a nifty little portable bassinet thingy from Big Bonus stamps, or Green Stamps, I can’t remember which. At the time, I thought it was really cool, too. I would have used it at Grandmas! We will probably be using it at the families house! definitely in hotel rooms. We travel a lot. this is so cool. I think I would use it when toting my niece around to my friends houses to show her off! I would be giving it as a gift to my expectant auntie =) I bet she’d use it on her frequent out-of-town trips!